LD 500 leak detector with camera – indicates leakage rate in l/min and costs. Flow measurement of compressed air and gases, with or without display. Flow sensor with integrated flow straightener / no inlet sections necessary. The newly developed VA 525 combines modern digital interfaces for connection to an energy monitoring system with a small, compact design. The immersion flow meter VA 550 is the ideal flow sensor for installation into existing compressed air resp. gas lines from 3/4“ up to DN 500. Flow meter VA 570 is supplied with an integrated measuring section for compressed air and gas pipes. The measuring sections are available in flanged version or with R resp. 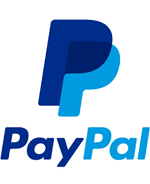 NPT thread. Flow measurement of compressed air and gases, with or without display and integrated mounting. FA 500 is the ideal dew point sensor with integrated display and alarm relay for refrigeration, membrane and desiccant driers. For stationary Dew point measurement for refrigeration and adsorption dryers. Touch screen graphics, relay and 4-20mA outputs. 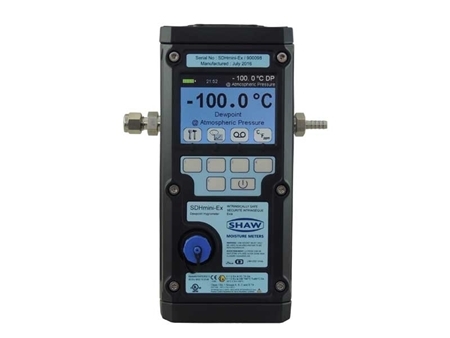 The Model SDHmini portable hygrometer sets new industry standards for dewpoint measurement. For residual moisture measurement after desiccant dryers/ membrane dryers from -80 to 20°Ctd. New: with Modbus-RTU interface. Dew point measurement from -20 to 50°Ctd. New: with Modbus-RTU interface. 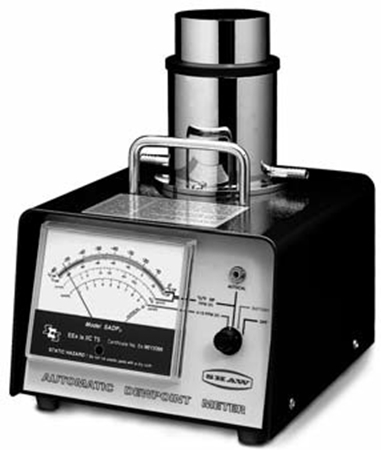 The DS 400 - chart recorder is suitable for all parameters of compressed air measurement. 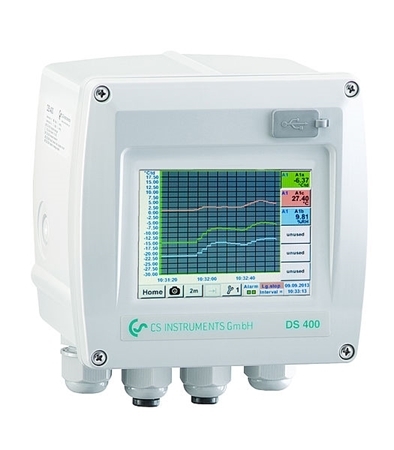 Flow station DS400 for easy installation into existing pipelines consisting of a DS400 Multifunction measuring instrument and VA500 flow sensor. Intelligent, multi input recorder with indication on a big colour touch panel screen, automatic sensor identification, alerting and storage to remote read-out via a webserver. 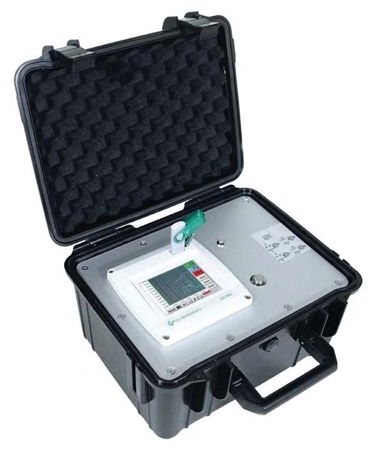 A portable hygrometer for rapid moisture checks or continuous use on flowing gas or air. The CDI 5200 clamps onto a pipe, with two flow-sensing probes projecting into the pipe through 3/16-in. drilled holes. It seals directly to the pipe; no cutting or welding is required for installation. Because each flowmeter is made and calibrated for a specific size of pipe, the digital display indicates flow directly, with no setup or adjustment. The CDI 5400 clamps onto a pipe, with two flow-sensing probes projecting into the pipe through 3/16-in. drilled holes. It seals directly to the pipe; no cutting or welding is required for installation. 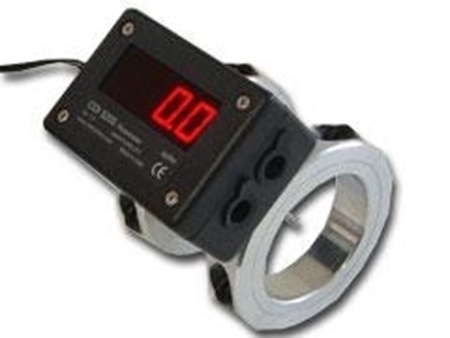 Because each flowmeter is made and calibrated for a specific size of pipe, the digital display indicates flow directly, with no setup or adjustment.